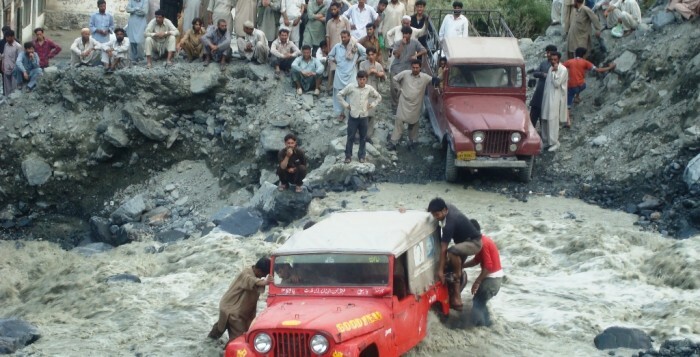 Heavy monsoon rains triggered flash floods in different parts of the north-west district of Chitral in KPK, Pakistan. Two people including a woman and a girl have been reported missing since the floods. Thirty shops and dozens of bridges have been washed away by the gushing waters of a flood stream in various parts of the district. The rain started pouring early in the morning and lashed the district for a continuous half-an-hour, causing a powerful flash flood. According to the Provincial Disaster Management Authority (PDMA), around 100 villages have been affected, including those in Bumboret, Ayun, Birir, Shali, Shughur, Khairabad, Milp and Dorosh. The meteorological department said the rain hit mountainous areas which caused the floods in low-lying parts of the district. 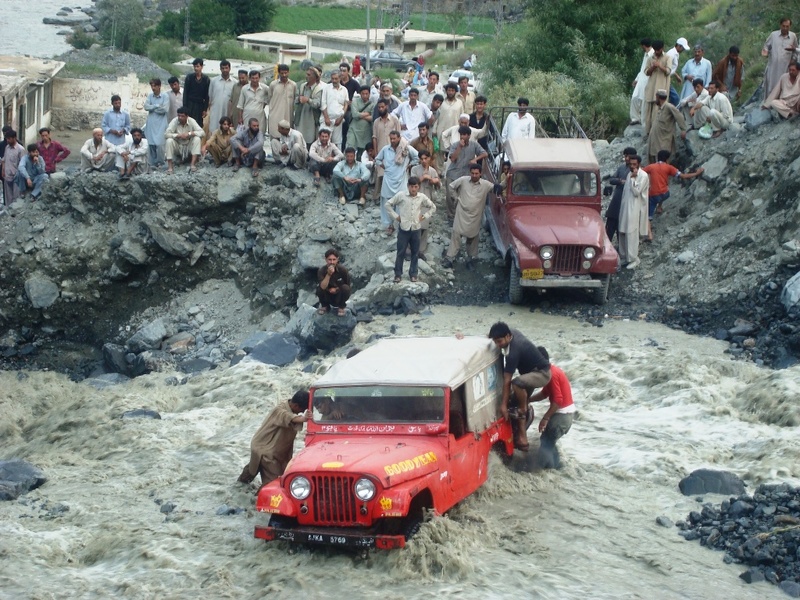 The floods washed away roads within the district, including Peshawar-Chitral Road near Broz Gol area. There is no land route connecting Chitral city to the rest of Malakand Agency. Embankments at vulnerable points are required to protect communities from overflow of river and its tributaries in the affected areas. A sizeable portion of population has been cut off which necessitates immediate restoration of roads and bridges. The floods have also affected the WAPDA house in the area which has resulted in the disconnection of the power supply from Inji Grid Station and Ayun Hydel Power Station, plummeting most parts of the district into darkness. Meanwhile, officials warned that water levels in the River Indus were on the rise. According to sources Abdul Aziz Soomro, the in-charge of the control room at Sukkur Barrage, said that a medium-level flood was passing through Guddu Barrage while a low-level flood was passing through Sukkur Barrage. He said that water levels are expected to rise further in the next 24 hours at Guddu and Sukkur barrages. Community World Service Asia is continuously monitoring the situation and its emergency response teams are ready to start emergency response activities if required. To view the contingency plan for emergency response, click here to download Monsoon Contingency Plan.